Yoga, combining physical exercise, meditative breathing and emotional health, is increasingly adopted by busy London professionals, restless teenagers, pregnant women and pensioners alike. 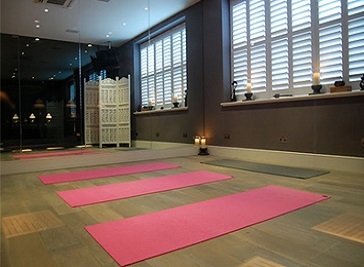 And yet, for all its vast array of options, London’s best yoga studios remain well-kept secrets. Whether you’re after a thoughtful, gentle practice, a yoga community to join, or a drop-in exercise fix, these London studios provide for all people, all over the city. Zumba is a dance fitness class created by Colombian dancer and choreographer Alberto “Beto” Perez during the 1990s. Zumba is the perfect type of workout for all ages and sizes. The choreography incorporates hip-hop, soca, samba, salsa, merengue and mambo. Work is taken out of workout, by mixing low-intensity and high-intensity moves for an interval-style, calorie-burning dance fitness party. Once the Latin and World rhythms take over, you’ll see why Zumba Fitness classes are often called exercise in disguise. Zumba combats boredom by making exercise upbeat and fun. If you like music, you’ll surely enjoy this type of workout and you’ll surely love the upbeat and energetic atmosphere. Zumba fitness will improve your coordination and posture, you’ll be able to tone your entire body in no time. During a Zumba class you will move your body to the rhythm of the music, your muscles will be engaged to make some specific moves like squats and twists, thus allowing you to tone your entire body without even realizing it. I am a Qualified Yoga Teacher RYT 500, and certified by the British Wheel of Yoga and Yoga Alliance. In addition, I am a Certified Pregnancy Yoga Teacher, having trained with the Sitaram Partnership, as well as a Birthlight Certified pregnancy, postnatal and baby yoga teacher.